Cheval des Andes is the result of the union between Château Cheval Blanc, Premier Grand Cru Classé “A” of Saint Emilion, Bordeaux and Terrazas de los Andes, a pioneer of cool-climate, high-altitude winemaking in Argentina. Distinguished by its freshness, elegance and exceptional ageing potential, the wine of Cheval des Andes is the Grand Cru of the Andes. The wine of Cheval des Andes combines the vibrant and intense expression of Argentinian Malbec with the rigour, elegance and savoir-faire of a great Bordeaux. It is a unique blend of Malbec grapes and Bordeaux varietals – an ensemble with the exuberance of Malbec balanced by the temperance of Cabernet Sauvignon, completed with hints of Petit Verdot. The vision of Cheval des Andes is to bring Château Cheval Blanc’s winemaking philosophy – which focusses on cellaring potential and elegance – to Argentina. 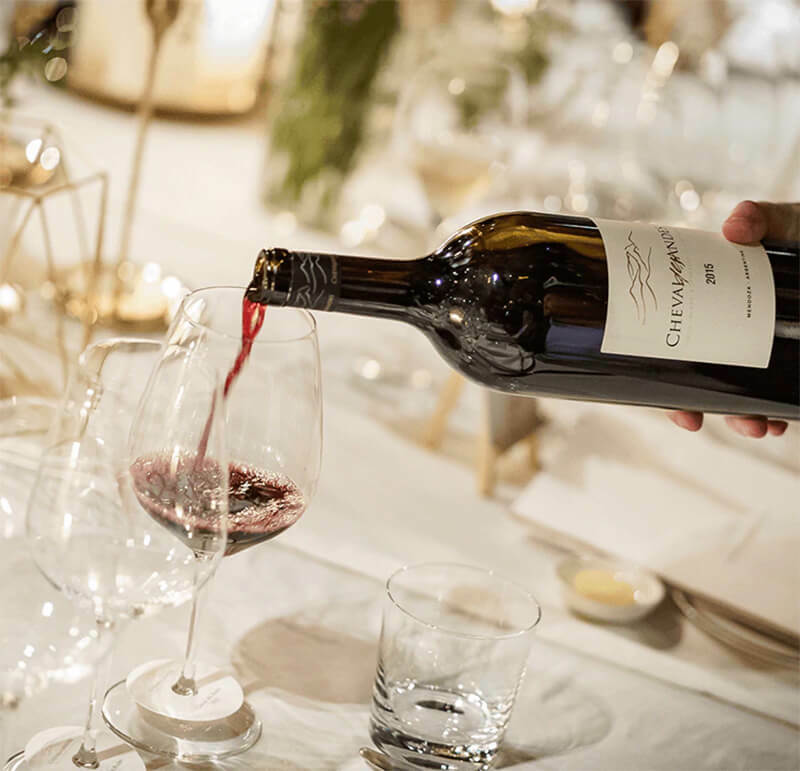 Cheval des Andes makes wines that age gracefully and “travel through the decades,” according to Pierre Lurton, President of Château Cheval Blanc and Cheval des Andes. These wines are elegant, meaning they are the most refined expression of the terroir of Mendoza. On the nose, they are complex rather than intense and on the palate, they are balanced rather than powerful. Check Cheval des Andes website for the latest & greatest in wine. Visit Cheval des Andes YouTube channel and check out the latest videos. Visit official Cheval des Andes Facebook page for awesome deals & new arrivals.